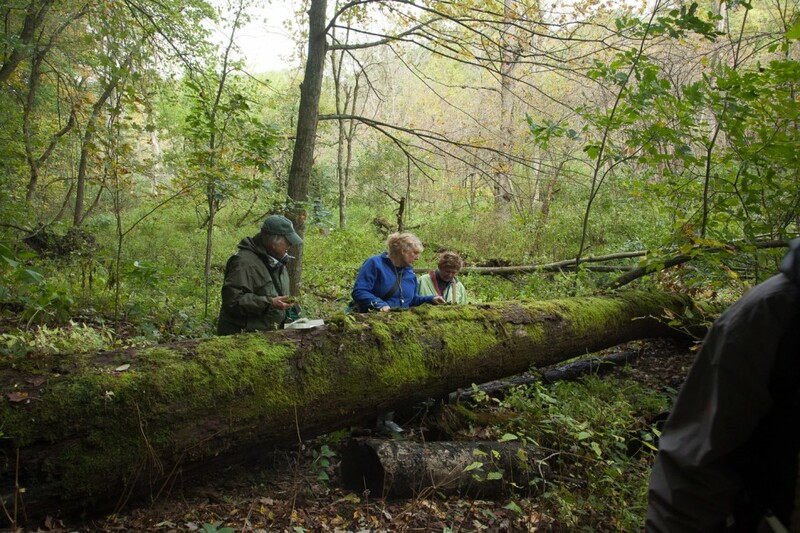 The 2011 fall foray, organized by Bob Klips and Jeff Rose, was held in Crawford and Morrow Counties. During all of Saturday we explored Crawford County. The planning for this day was facilitated by the very active participation of the Crawford Park District, particularly its Director, Bill Fisher. Participants met in the morning in their beautiful nature center at Lowe-Volk Park in Crestline, where Mr. Fisher gave a great presentation on the natural history of the county and an overview of the park system. We were thrilled to see this sign welcoming us to the Park, to and be treated to donuts and coffee! Immediately following the presentation, the group posed for a picture. 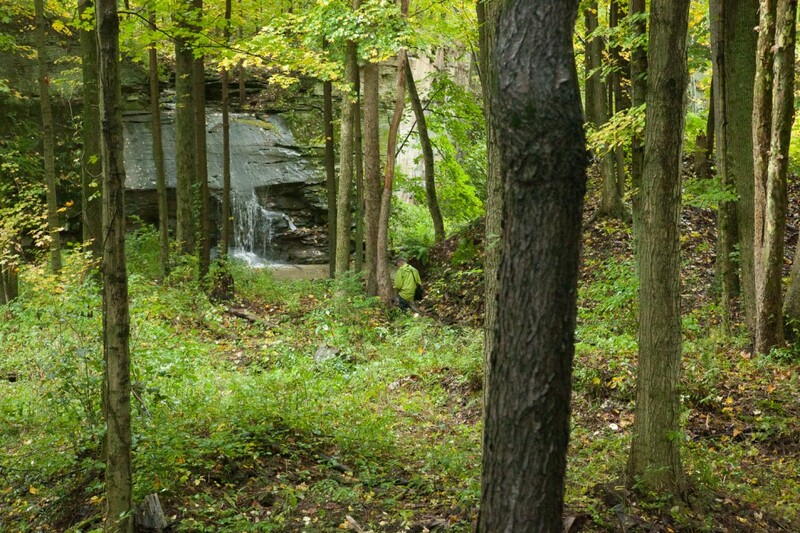 We went a short distance down the road to the property of a generously hospitable local landowner, whose property is largely an old sandstone quarry, now heavily wooded. A lovely privately owned woodland that was once a quarry. There were abundant bryophytes here, especially on the moist cliffs. Prominent among then was a small densely tufted acrocarp with lingulate leaves and erect capsules lacking peristome teeth. 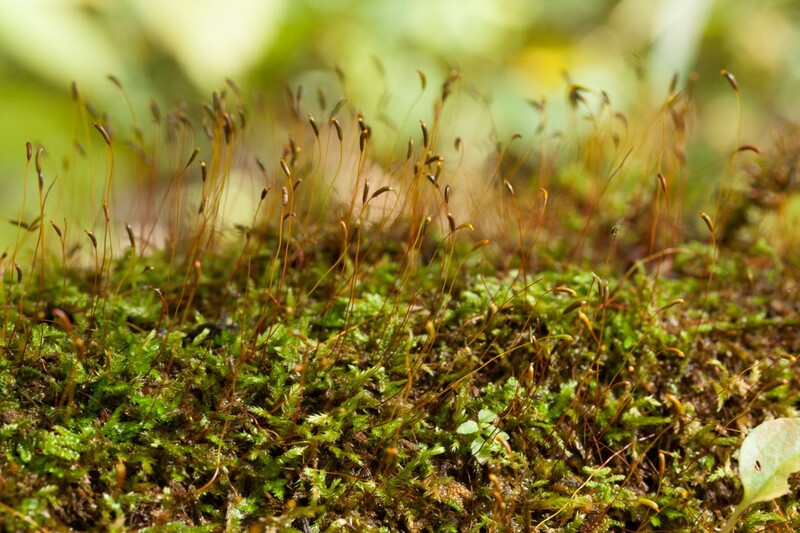 A cushion moss (acrocarp) is abundant on ledges. 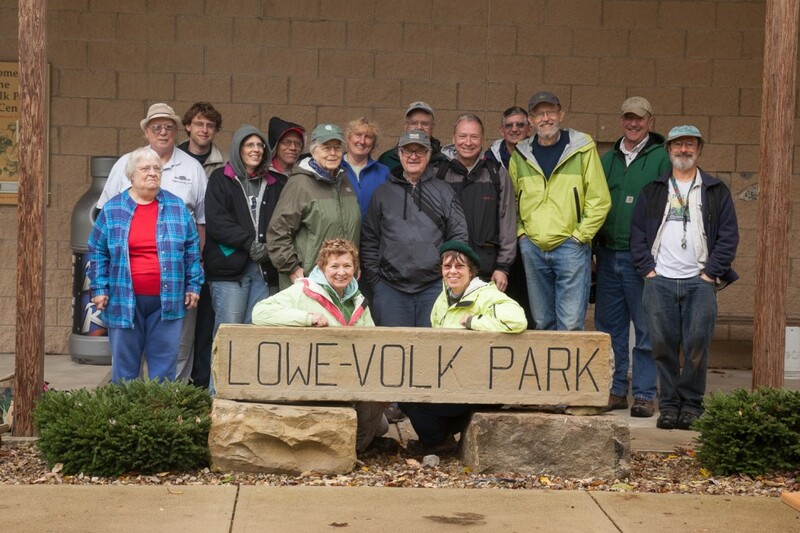 For lunch, we returned to Lowe-Volk Park. Here, some of us collected for a while before joining the rest of the group who had either gone to Heckert Woods or Sears Woods State Nature preserve, both swamp forests with vernal pools. A small group of people also went to Daughmer Bur Oak Savanna, one of the few remnants of the Sandusky Plains prairies. As is typical for our fall forays, the group returned to the hotel for dinner and an identification session. The OMLA Saturday night scope room is great fun! Sunday morning was devoted to Morrow County where the group explored Mount Gilead State Park, finding cryptogams in both the wet areas and dry upland surrounding a lake created by a dam across Sam’s Creek. Mosses were abundant on coarse woody debris (a fancy name for logs). An especially abundant pleurocarp with shiny leaves on short, tapered, slightly flattened, somewhat sword-like branches blanketed some of the logs. A pleurocarp (carpet moss) that is abundant on logs at Mt. Gilead State Park. 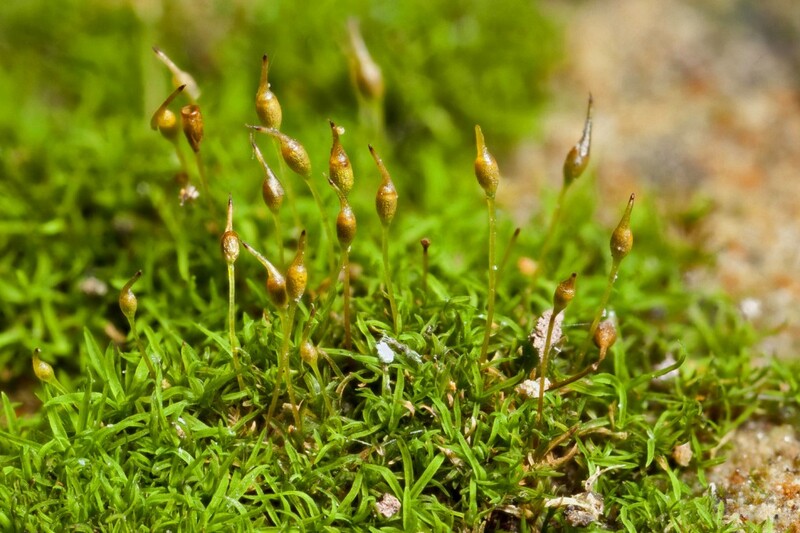 A total of 67 bryophytes (including mosses and liverworts) were recorded from Crawford County, of which 39 were new county records. For Morrow, the total was 9 species, of which 16 were new (including one hornwort). Lichens were recorded from all these locations as well as from cemeteries in both counties. Several corticolous species were seen on tree in the open areas of Mt. 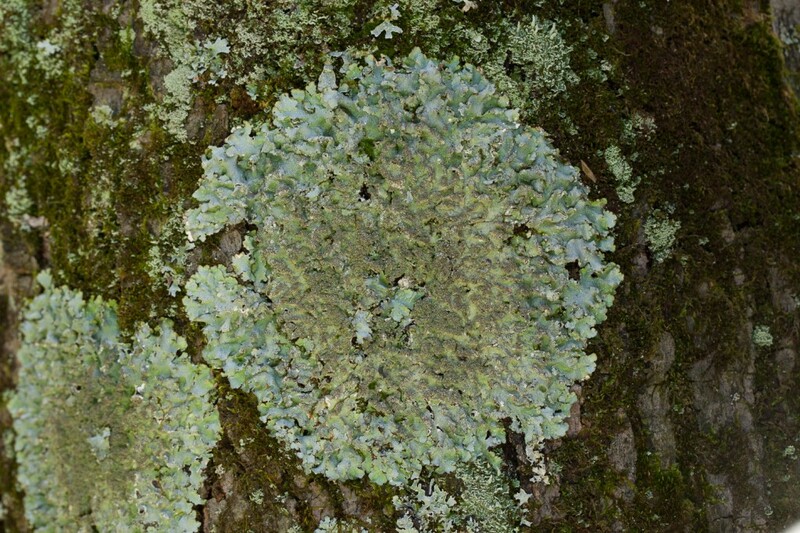 Gilead State Park.One species, especially common, is a gray foliose lichen with abundant pseudocyphellae, and which reproduces by means of isidia. 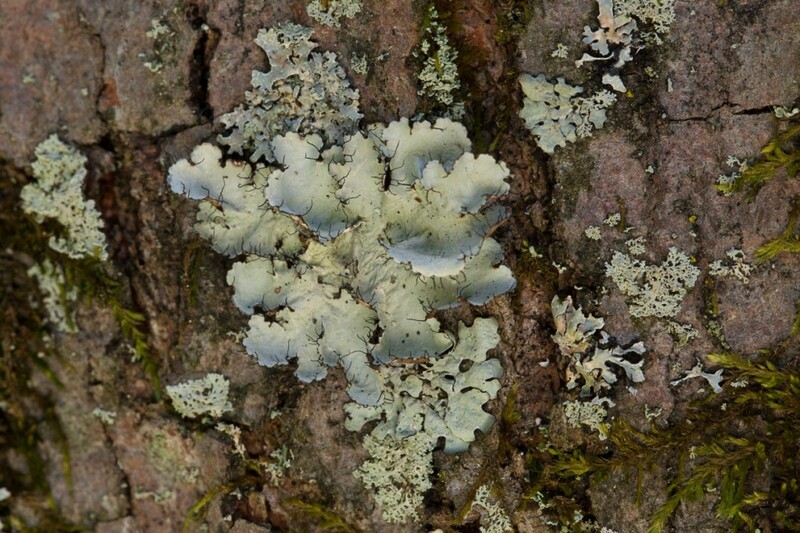 Gray foliose lichen on bark in open area of Mt. Gilead State Park. Another species, less frequent but more striking, is a broad-lobed foliose lichen with upturned margins bearing conspicuous cilia. Broad-lobed foliose lichen on bark at Mt. Gilead State Park. 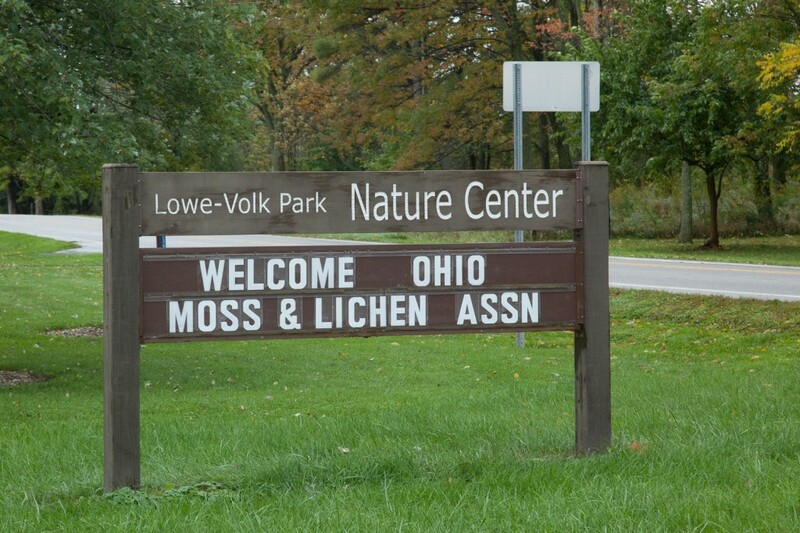 A total of 30 lichen species with 18 new county records were reported from Crawford County with 26 species and 11 new records from Morrow County. All of the species found are fairly common in Ohio. Species lists and additional details about the OMLA Fall Foray are in the 2011 OBELISK newsletter.